We're happy to announce that SOLO Server Build 1.18.1.5 has been released, featuring a new GDPR module along with several ​privacy and other enhancements. The General Data Protection Regulation (GDPR) is a regulation that unifies data protection laws across the European Union. This means that we all need to ensure that the way we process personal data (for our employees and customers), within our company, follows the new legislation. For organizations that require GDPR compliance, a new Privacy & GDPR Options page is now available in the administrative interface for users with Manage Account permission, reached through the Configure / Privacy & GDPR Options menu entry. For self-hosted instances of SOLO Server, this page allows entering privacy details and GDPR details such as EU Representative and/or Data Protection Officer contact details. For Instant SOLO Server customers (including Shared, Custom, and Dedicated URL accounts), the GDPR settings are implemented as an opt-in module. For Instant SOLO Server users who wish to enable the GDPR module for GDPR compliance, upon first reaching this new page, you will be prompted to review and agree to the Data Processing Addendum (DPA), which is an extension to the standard Terms of Service outlining the obligations between SoftwareKey and your organization regarding the GDPR. 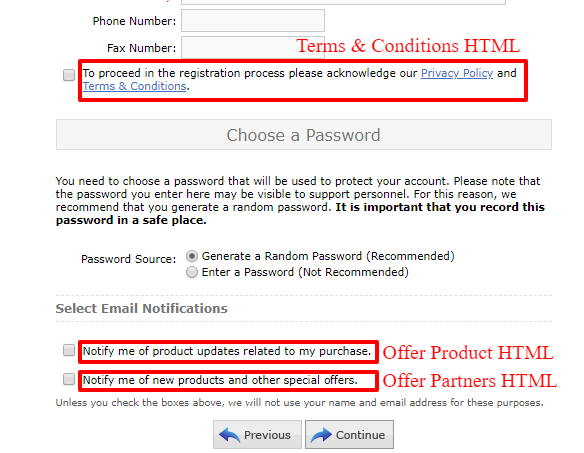 To begin the opt-in process, simply click the Review DPA and Request Pricing button, which will open a dialog. Review the DPA in the dialog, and then check the I fully read, understand, and agree to the DPA above checkbox and then click the Agree and Request Pricing button. We will contact you within 2 business days regarding the next steps for enabling the GDPR Module. Once the module is enabled, you will be granted access to the additional fields to enter your GDPR details for our records. Enable Offer Checkboxes - Controls whether the Select Notifications section appears on the registration pages in the shopping cart and customer license portal. This was moved from the Cart Options configuration page. Offers Default Checked - When the offer checkboxes are enabled, controls whether the checkboxes are checked by default for new customers. This was moved from the Cart Options configuration page. Offer Products and Offer Partners HTML - These can be populated with HTML markup which will override the default checkbox labels "Notify me of product updates related to my purchase" and "Notify me of new products and other special offers" for the Select Notifications section on the registration pages in the shopping cart and customer license portal. A new Export Licenses option is available in the license listing on the customer details page which will generate an export of all licenses on the given customer. A new Export all Customer Data option is now available to users with master user permission on the Customer Details page, which will generate an Excel export of all records related to the customer. A new database stored procedure has been added to the database which will clear all potential personal data from a customer record along with all related child records in response to a customer "right to be forgotten" request. Currently this must be run manually. Instant SOLO Server customers who receive a right to be forgotten request and would like to honor it can contact us with the Customer ID of the request. The Order Confirm HTML and Customer License Portal HTML fields on both Products and Product Options now support search and replace parameters for the user-defined fields. Read the full release notes here. And as always we'd love to hear from you so feel free to reach out and contact us﻿﻿﻿ with your questions and feedback. Steve Marsh is a Software Engineer with SoftwareKey and has worked on development of their SOLO Server software licensing server product for nearly 15 years. Outside of software development, he is an avid Chicago sports fan and a voracious reader.